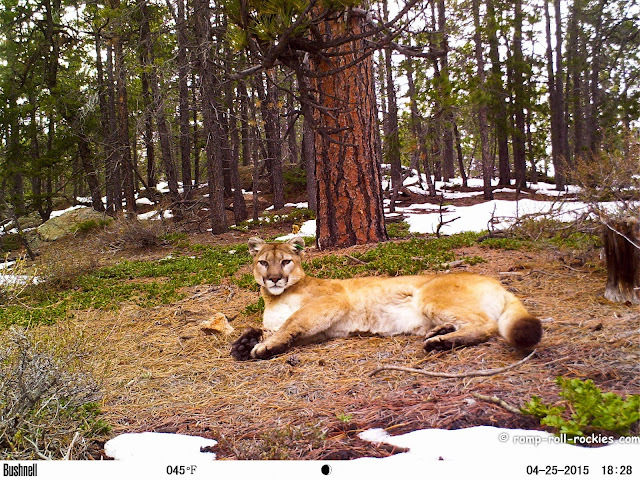 Over the years, many of you have seen the big bulky GPS collars and the ear tags worn by the mountain lions that my trail cameras photograph. Many of you joined me in bemoaning the fact that these majestic animals had to wear such bulky hardware. The good news is that the study that required that the animals wear all that stuff ended about a year ago. Last winter, our wildlife agency was supposed to remove all the hardware from our mountain lions. Indeed, as early as last February, we began to see mountain lions with long lithe necks and no collars in trail cam photos! 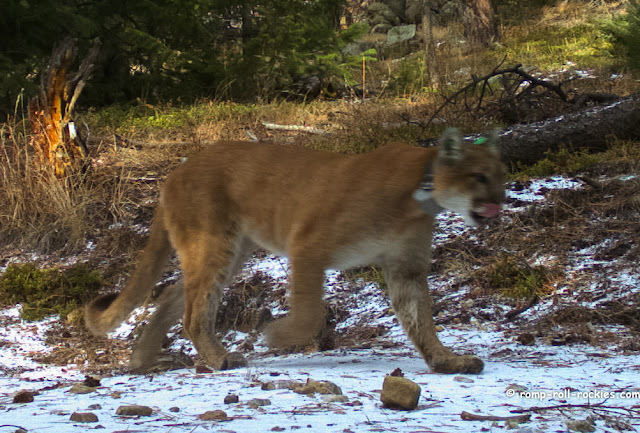 Alas, it should not be surprising that some mountain lions are still wandering around with non-functioning collars and/or ear tags. Here's one that I called the wildlife agency about because he/she stayed in the same area for a couple of days. I thought that they might be able to trap him and remove the hardware if he was staying in the area to eat a kill. As far as all of us can tell, this lion was gone by the time the wildlife officer arrived. I was told that the GPS collar is not functioning so they can't track down the mountain lion without sightings like mine. This lion somehow shed the GPS collar but still has ear tags. I understand that collars fail and cats wriggle out of collars (while keeping their ear tags) so it makes sense that some cats are still living with that awful hardware. The hard part for me is knowing that the hardware will probably stay on these cats for the rest of their lives. I have always suspected that the hardware makes some aspects of their lives harder. 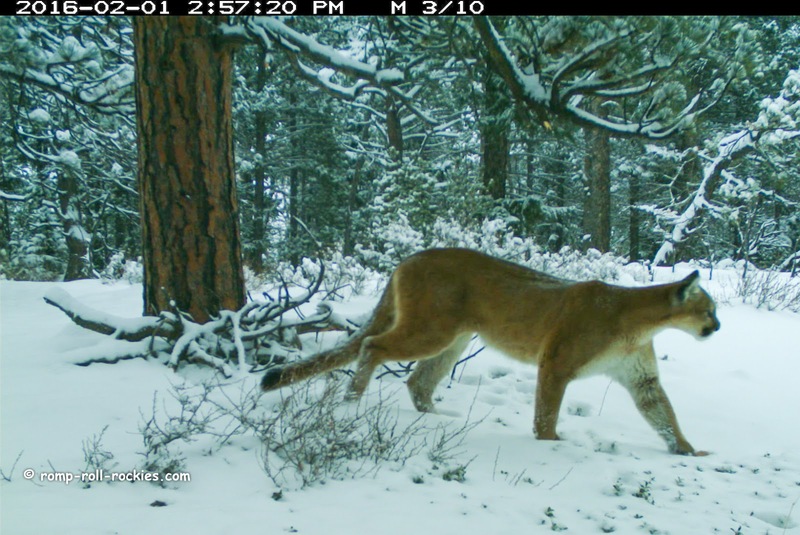 I made a short video of the sightings of collared cats plus a clip of one gorgeous and collarless mountain lion walking in the snow. They are awe-inspiring creatures. I hope that you enjoy it. They truly are majestic animals! I thoroughly enjoyed your video and am really glad to hear that they are doing away with all of the hardware! I'm glad they are removing all that junk, and I hope they get the stray cat that needs his removed too. Good for you, KB, trying to get that ugly, unwanted hardware off the cats. I hope you'll have more chances and the timing will favor success. I have such mixed feelings about tagging and collaring. In some instances the data gathered can help the animals/species/habitat in the long run, which is important. But some researchers can take a pretty highhanded view of their own impact on the world. (I speak from experience.) I can't help feeling that if researchers were required to turn in proof of equipment removal before being eligible for further funding, they would make a stronger effort to get it done. Quinn - In this case, the head researcher is employed by the Colorado Div of Parks and Wildlife. Although the study went on for a decade, he has published nothing from it. I, too, know about biology research first-hand, and I know that most people would never get funding again with a publication record like his. And, I completely agree about the proof of removing hardware being required... then, perhaps, they would try a little harder to get all the hardware off all the lions. 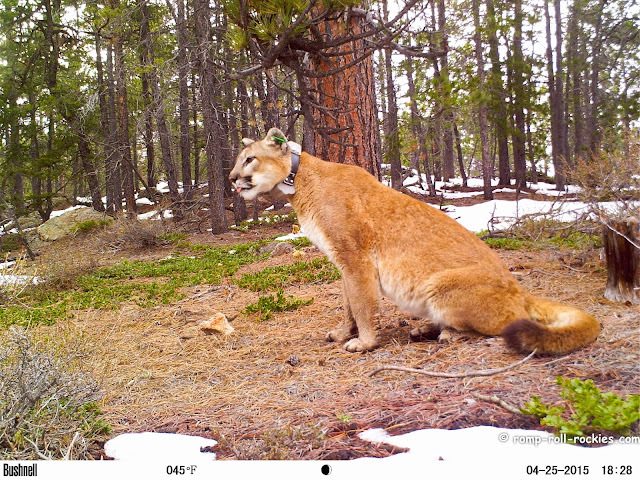 They could use their own cams in the territories of animals who are still wearing hardware. They could even get the fancy cams that email them copies of photos as they are taken. The ending of a study is never handled as diligently as the start of one. Magnificent creatures. I hope those who have been de-collared are able to stay safe and from harms way. That's too bad about the tags having to stay on forever. But they truly are very majestic and powerful creatures. Such graceful and gorgeous animals. They are such beautiful animals. That tail! Always love seeing the cats! That is terrible and it does seem like a waste of money. I hope they do get all the collars and tags off these magnificent animals. I just don't want to be the person who does it. You made me laugh with that last line! Don't worry - they sedate the lions first! What a cool camera to capture the wild creatures! They claimed in their research proposal that they didn't put collars on any not-full-grown lions. However, lions gain and lose weight depending on their hunting success. Like you, I don't want to think about what happens when a lion gets bigger but has a tight collar on. That's why I am calling the wildlife officials whenever I spot one with a collar (but it hasn't been successful yet). I agree with Murphy, they are such amazing critters! I also don't enjoy seeing these monitor devices on animals. I remember seeing a butterfly with a tag stapled to it's wing. Such a joy to see your photos. They are amazing animals. 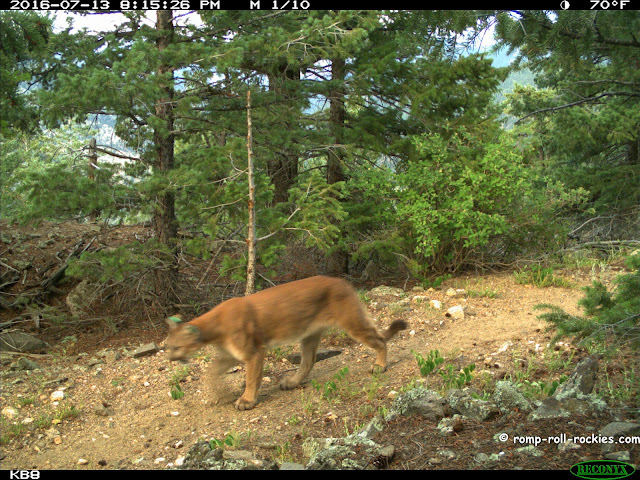 I am so glad you have been able to help free some of the mountain lions. They are so beautiful. It is such a double edged sword, we need to learn more about them to protect them from us, and to do so we use those terrible collars. I can't believe in 2017 we don't have better technology . . .
One Year Ago - Bear Cubs were Born!! !